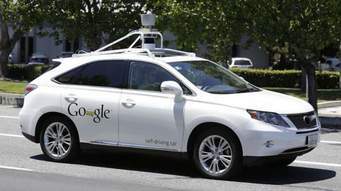 It is unclear where the push for driverless cars (News, Feb 6) is coming from. There is no public desire: surveys show a reluctance to use driverless cars, they will not solve congestion, and there are huge safety concerns, especially with regard to computer hacking. Trials in the US have stalled in the aftermath of the fatality in Arizona, and as the limitations of the technology, such as it not being able to operate in snow or heavy rain, have become apparent. Worst of all, driverless cars will make huge inroads into the public transport market at a time when governments should be encouraging people to use their cars less. Yet their advocates never mention the downsides, such as exacerbating the obesity crisis. Rather than spending hundreds of millions in search of this technological holy grail, Chris Grayling should concentrate on solving basic transport issues such as the chaos on the railways and the total absence of rural buses.